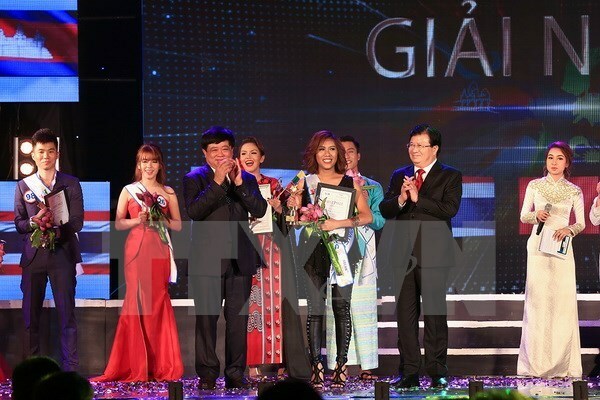 Thanh Hoa (VNA) – Darlin Joy Bate from the Philippines overcame 27 other candidates to be crowned the first winner of the ASEAN 3 singing contest in the central province of Thanh Hoa on August 20. The final round was attended by Deputy Prime Minister Trinh Dinh Dung, ASEAN Secretary- General Le Luong Minh and Ambassadors of ASEAN nations, China, the Republic of Korea and Japan. Vietnamese candidates Phan Thi Thu Lan and Pham Tien Manh came second and third, respectively. The contest featured 22 singers aged between 18-35 from ASEAN nations and five from China, the Republic of Korea and Japan.